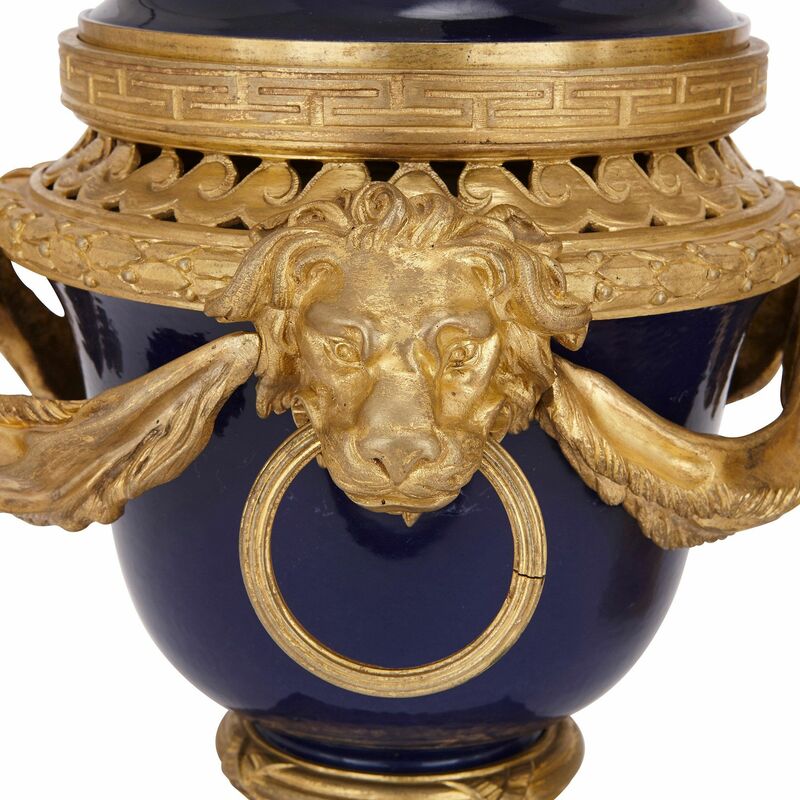 These exquisite antique French porcelain vases are beautifully ornamented with ormolu mounts of the finest quality, including handles in the form of lions' heads. 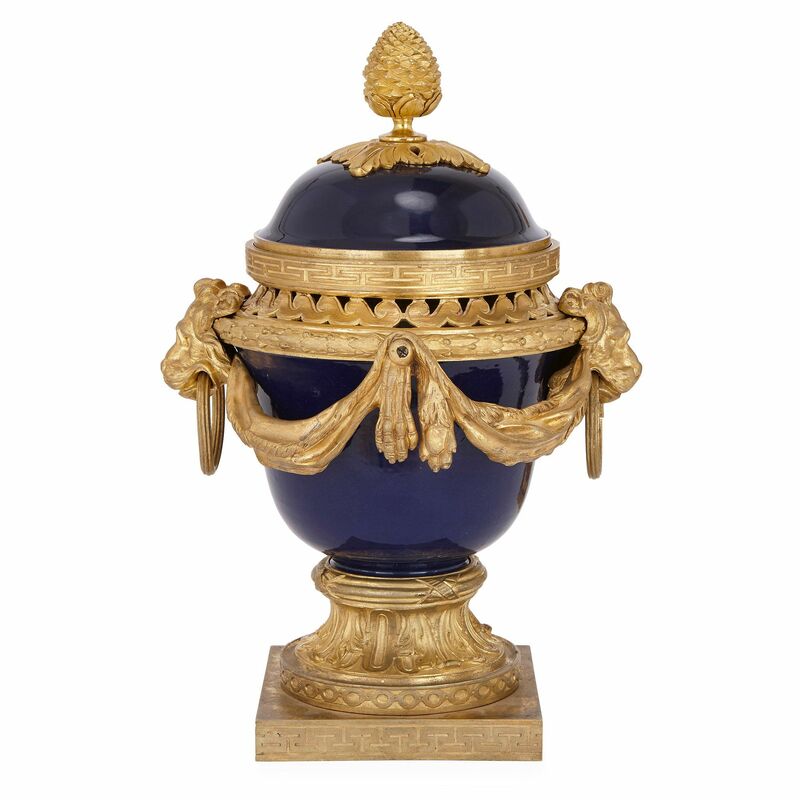 The vases are built from dark blue ground porcelain and mounted with ormolu. 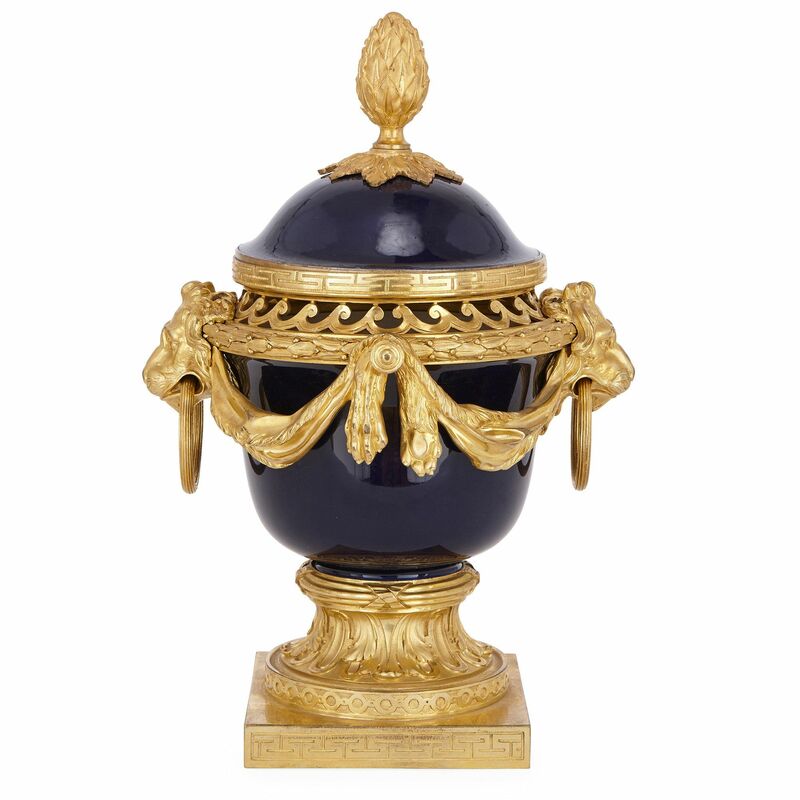 They are set on square ormolu bases and ormolu socles decorated with acanthus leaf designs. 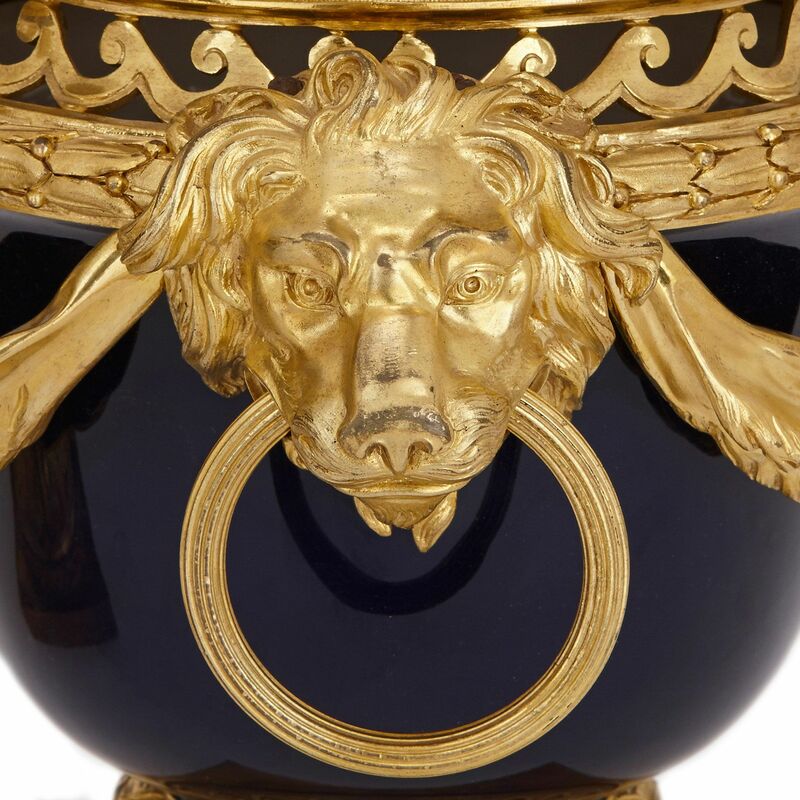 Each vase is mounted with twin lions' head handles, which are joined together by drapery. 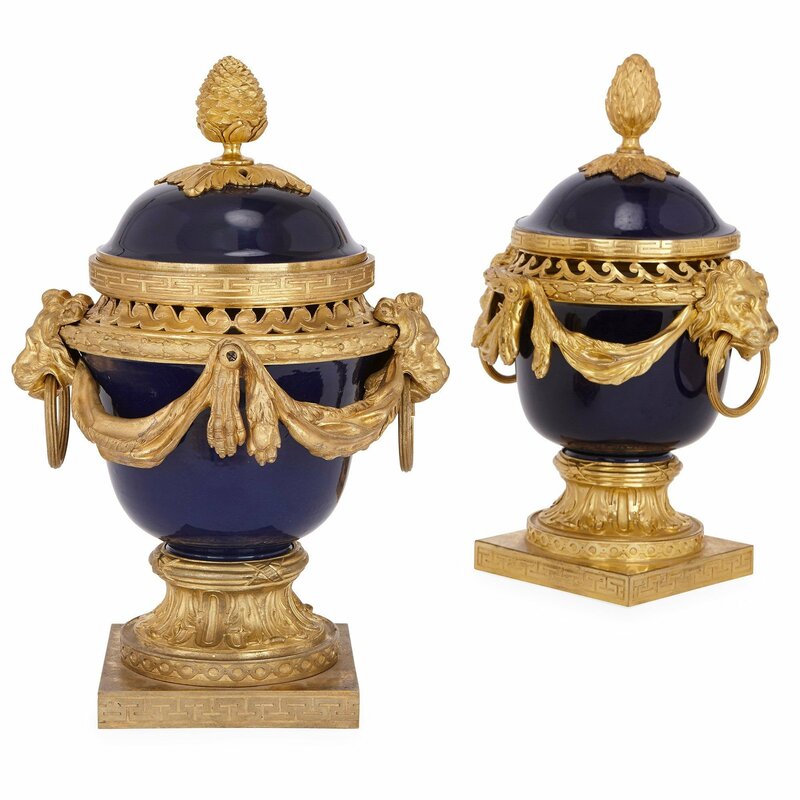 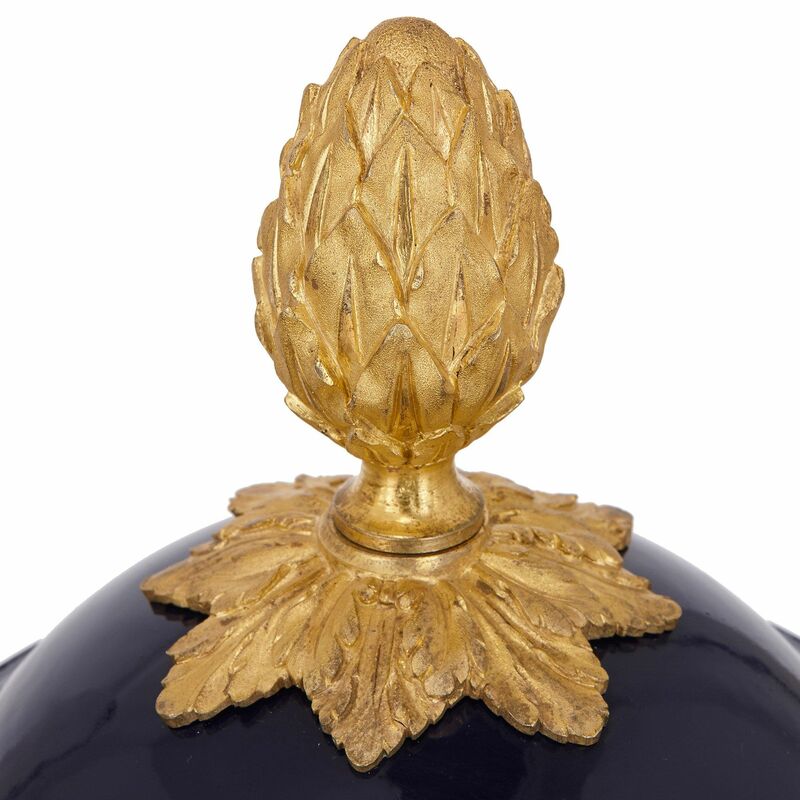 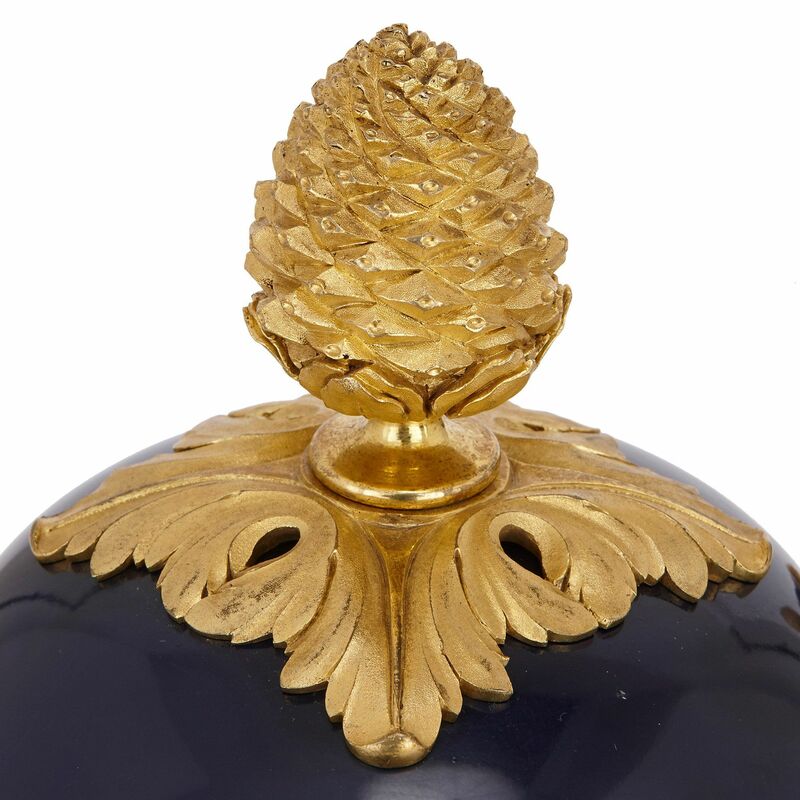 The rims of the vases are mounted with wave-form ormolu and surmounted by lids with pinecone finials.